Facebook has undoubtedly become the part of our online lifestyle. No other social media platforms except Facebook has given you the opportunity to share your life events in an social environment more freely and with privacy protection. When you are sharing your personal stuffs privacy is your first priority because you don’t want to share everything with everyone. Since from it’s inception Facebook considered this very seriously and till today Facebook is committed to maintain that. You have got full control over the information you share on Facebook. Facebook only index information that are titled as Public to search engines. In the early months of 2013 Facebook has brought some more cool features that you would love to explore. Today I am going to get you introduced with these cool new features of Facebook. Facebook timeline not only changed the view of your profile page, at the same time it brought some added features that was not available in the older profile page view. Say for example now you can highlight any post that you want to emphasize. Another purpose of Timeline is to enable you to add or edit past life events of your life. In your older profile you were not being able to add any past story as a post. 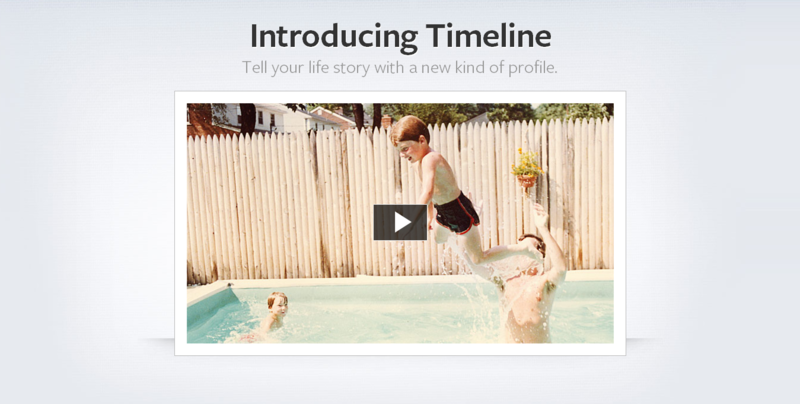 But with the new Timeline you can add any story by clicking the + button in the time frame of the timeline. Currently Facebook Graph Search is in beta version and not open to all. 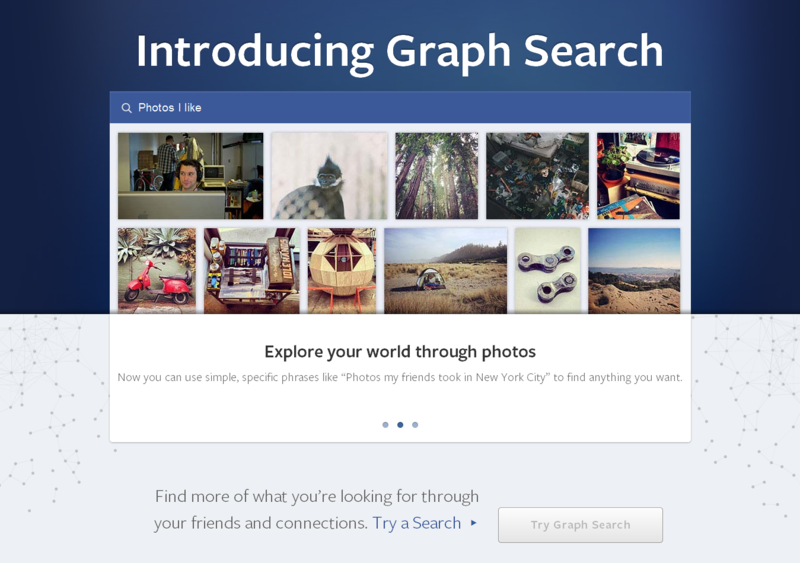 However you can sign up for graph search from this link https://www.facebook.com/about/graphsearch. Graph Search is a powerful tool to give you a rich Facebook experience. You will be able to access information more quickly and easily using this new feature. Say for example you want to see all the photos where you were tagged with your friend Alex. You just need to type “Photos of me with my friend Alex” in the search bar and that all. You will see all the photos where you were tagged with your friend Alex. You might get interested to know about the movies your friends like. You just need to type “Movies my friends watched” and you will see all the list of movies you friends have recently watched. It’s really cool and will give you the opportunity to use Facebook more effectively. As you can see in the title “Goodbye Clutter. 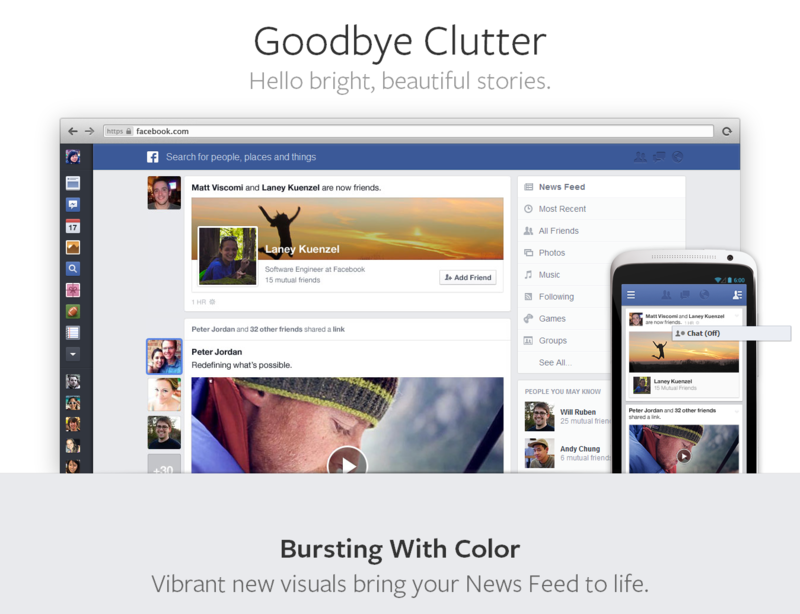 Hello bright, beautiful stories.” The purpose of new News feed is you give your Facebook homepage a whole new look where the stories are segmented and aligned and all the navigation area are accessible from the left side panel. This will give mobile device users a rich Facebook experience. There are lots of criticism regarding this feature going on. Many says that Facebook copied the idea from Google Plus. Whatever they should also remember the fact that Google Plus also did copied so many features of Facebook. You cannot really copy something that is unique, I should mention Google Hangout feature which is really exceptional in social media environment and cannot be copied by Facebook, Inc.